Hyderabad, Have You Checked Out Fabindia Experience Center In Banjara Hills Yet? 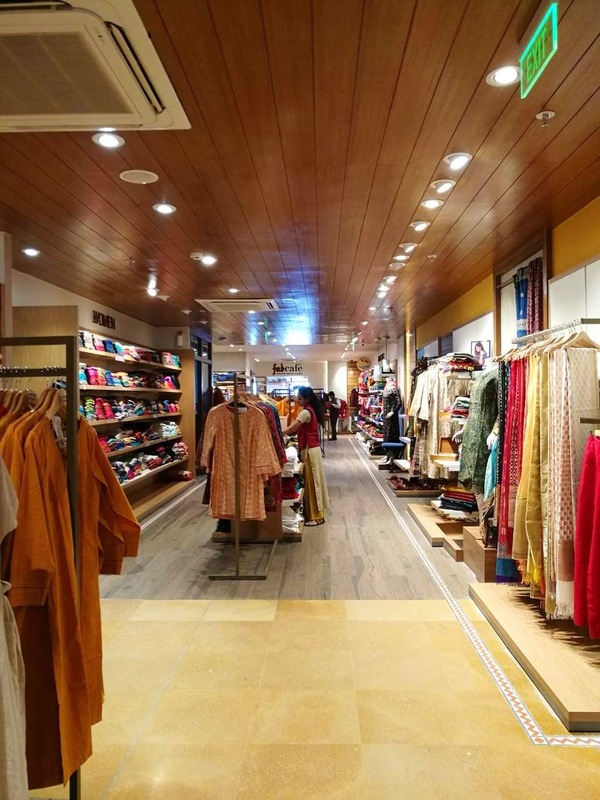 Bringing food, jewellery, clothing, home decor, bath and body products under one roof — Fabindia Experience Center on Road No. 12, Banjara Hills intends to offer the shopaholic in you remarkable shopping experience. As we entered the store, we spotted tableware in ceramics, Bone China, wooden along with hand-painted crockery. Products like lip butters and balms, handmade soaps, and essential oils share space with pickles and chutneys, nuts and seeds, ready-to-mix soup, salad dressings, and more organic and healthy ingredients. We walked a little further and caught ourselves in a bag frenzy with clutches, potli bags, and quilted laptop bags. The saree and jewellery section are right next to the bags and if you've got a thing for Bohemian or kitschy jewellery, you know where to be. The cotton and linen sarees are stunning and priced INR 4,500 upwards. Plus, we found all the regulars like kurtas for both men and women, plain and printed dupattas along with kidswear that makes us want to be children again. Want to get a kurta customised? You can chat up with the good peeps at the store and get that done too. The store has a vast collection of home linen and pieces of furniture like bookshelves, dining tables, and storage boxes that will certainly please the hoarder in you. Plus, everything is open to customisation to match your taste and home. Now, how cool is that? There is a kid's play zone in the shopping area where you can leave your kiddos to have a ball of a time. Plus, Fab Cafe — a restaurant that serves healthy food can keep hunger pangs at bay.